Over the years we have worked for almost all the major insurance companies ensuring our client’s Bentley and Rolls-Royce motor cars are returned to their pre accident condition. While your insurance company may wish you to use their appointed body repair shops they cannot insist that you do. 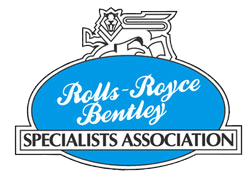 Many do not have the specialist knowledge required of Bentley and Rolls-Royce motorcars to do a first class repair. We will be pleased to assess the damage, prepare a no obligation estimate and deal directly with your insurance company to give you the confidence that your car is repaired to the highest standards. Whatever your requirement; from a minor scratch or major accident repair our Technical Manager / Managing Director Ian Pinder – with personal experience of repairing Rolls-Royce & Bentley Motor Cars in excess of forty years – will be pleased to assist you. You can contact Ian directly on his mobile 07801 256301 or alternatively, please call our office and we will instruct Ian to return your call to make an appointment to assess your requirements.